When I told her she had new books she was hyped. Both her and Noah love stories at bedtime. 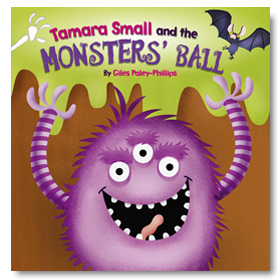 The first night she wanted to read Tamara Small and The Monsters' Ball by Giles Paley Phillips. I didn't know what to expect and as I started to read it dawned on me, was this a good idea to read about monsters at bedtime? Well I needn't have worried as we soon find out that these are fun loving monsters! The build up before we find out they're friendly monsters is good though and Isla was all snuggled up into me until I felt her physically relax when the pictures showed Tamara having fun with the ghosts, vampires and witches! The book is written in a rhyming style which makes the story flow really well and I find it also helps children to remember large chunks of the story, particularly good for pre-schoolers who can't read just yet. The illustrations are good, the ghosts and ghouls particularly well done. Isla really likes the skeleton and asks what it is, as she doesn't quite understand our bodies are made up of bones! 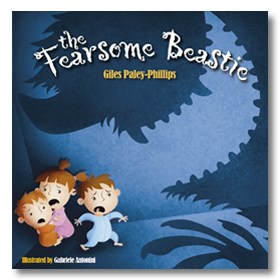 Next up was The Fearsome Beastie also by Giles Paley Phillips. I really liked this book, but my mum had concerns that it was a bit scary for bedtime. 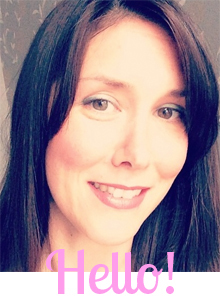 Thinking about it now, it is different to Tamara Small, the suspense and the fear are held for longer in this book. That said Isla didn't seem overly scared by it - she thought it was like Little Red Riding Hood. And it is really, a fearsome beastie comes to town in search of children to eat! He soon meets his match when the Grannie finds him, chops him up and makes beastie stew for all the children to eat! I liked this book particularly as it gets back to old style fairy tales. It is reminiscent of Little Red Riding Hood as we have the people getting eaten and then someone comes to save them. In this case the story becomes funny, it's no boring woodcutter that saves them it's a little grey haired old lady! Giles Paley-Phillips cites Roald Dahl among his influences and I totally get that. The humour coupled with a gruesome tale is exactly what Dahl did best and I see it in these books too. With both these books I liked getting away from the 'princess' stories that we've had to read of late (all that pink and slushy love stuff!). Also I am happy to report that REAL books still have a place in our house, Isla hasn't ditched them in favour of the iPad. Both books can be purchased from Amazon and they would make incredibly good Christmas Stocking fillers! We were sent these books free of charge to review, all opinions are my own.